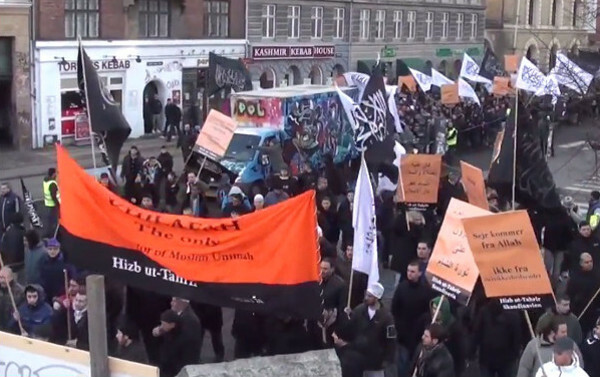 Hizb ut-Tahir Islamists and leftists march in Denmark. 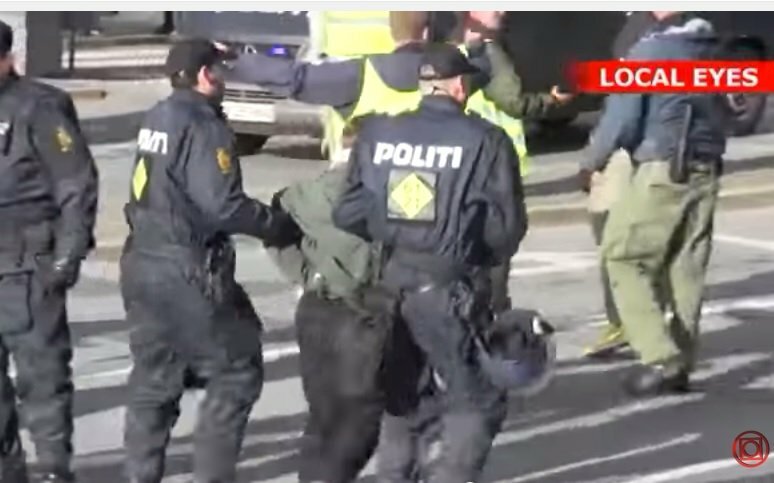 Freedom protesters were assaulted by Islamo-leftists at their rally in Denmark this week. The below is written by a friend who joins our weekly evening demonstrations every Monday in Copenhagen. Of course, several unruly leftists were cuffed and arrested during the confrontation. By the way: Link to photos showing Hizb-ut-Tahrir speaking from the “anti”-fascists van here. I just do not get it: why does the Left love Islam that much? When I was a kid the Left was against suppression of women, against the power of religion (it was “opium” for the people) and for the right to speak freely against any authority, religious or political. Is it because Muslims vote Left, are they suicidal (artists and political activists will be the first to be flogged, tortured or beheaded if sharia takes over) or do they just not have a clue?